Apparel Trends: What's New in Comfort Activewear - A Lot! What's New in Comfort Activewear—A Lot! Garment comfort remains one of the most important qualities for today's consumers. When the wearers' movements are restricted and uncomfortable, it's difficult to perform at an optimum level. Feeling comfortable in workout apparel can also make the wearer feel more confident and lead to better performance. For manufacturers, workout apparel also needs to address the appropriate weather conditions under which the item will be worn. For performance apparel design, one primary objective is the selection of functional fabrics that provide the best possible comfort level. The FabricLink Network reviews several new textile developments presented at the Outdoor Retailer+Snow Show 2018, that offer ideal solutions for wearable comfort in apparel, no matter what the weather condition. New drirelease® DriFil DUO developments. drirelease® showcased several new fiber developments targeted towards comfort. drirelease® DriFil technology optimizes both comfort and durability in performance fabrics. This is an engineered high performance yarn, consisting of a blend of multi-denier + multi-staple length polyester, a touch of hydrophilic fiber, and a protective wrap of continuous filaments. Fabrics utilizing drirelease® DriFil provide superior wicking, fast drying, excellent abrasion resistance, odor control, and overall permanent peak performance. drirelease® DUO includes a range of innovative DUAL performance knit and woven fabrics that offer wicking on one side and water and oil repellency on the reverse side. The face of the fabric is applied with a durable C6 shorter-chain fluorocarbon-based treatment to provide oil, water and stain repellency. The next-to-skin side of the fabric facilitates the wicking and dispersion of moisture away from the body to provide thermoregulation and comfort. drirelease® LOFT is a collection of innovative performance knit fleece fabrics that offer durable mid-layer and outer-layer fabrics for heat retention with wicking and fast drying characteristics. According to drirelease® research data, mid-layer and outer-layer performance is as important for comfort as the performance base layer. W. L. Gore is building upon its expertise to take the GORE-TEX® brand into a new era of evolution that goes beyond "waterproof performance." In an impressive showroom experience at the Outdoor Retailer Snow Show, Gore builds on its innovations, while introducing an entirely new class of materials, Infinium™, designed to help consumers find the right apparel for a wide range of activities. 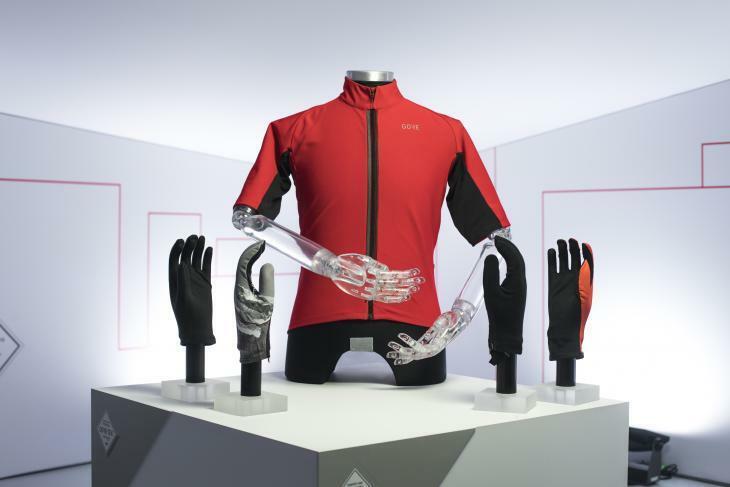 Utilizing its "comfort science" laboratory and field research into how consumers can be more comfortable across a variety of climates and weather conditions, Gore has developed innovative technologies for its Infinium™ performance products that do not need to be waterproof. While many consumers continue to seek individual outdoor athletic pursuits, there has also been an increase in people wanting to spend more time outside as part of their everyday, active lives. Gore’s new Infinium™ brand extension helps meet the needs of wearers, ensuring versatility in fitness and offering comfortable apparel. The GORE-TEX® INFINIUM™ products will be available in selected retail stores beginning in Fall 2018, and will be easily identifiable by the white diamond logo on the products. from CORDURA® Brand and Crye Precision. 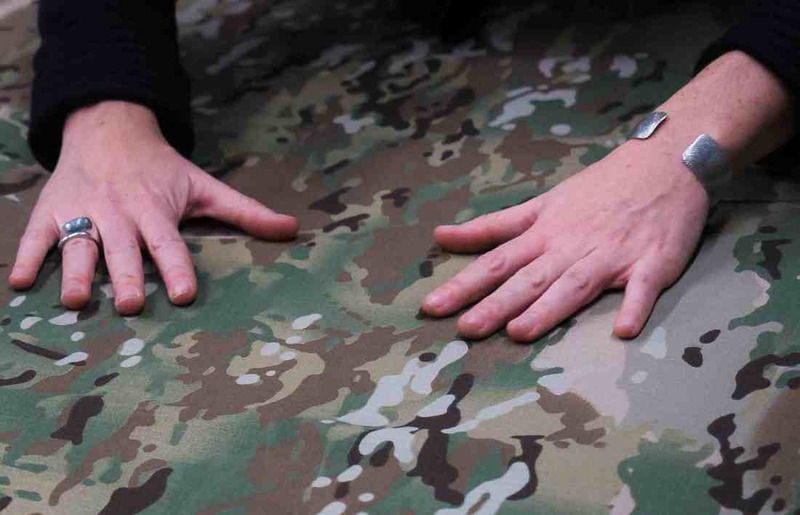 CORDURA® Brand and Crye Precision collaborated to create a new generation of military uniform fabric technology, utilizing the long-lasting durability of CORDURA® fabric combined with lightweight comfort and added mobility. Made from Crye Precision's proprietary VTX™ Ripstop material, constructed with stretch CORDURA® NYCO fabric technology, the latest G4 Uniform represents the next generation of combat apparel. The G4 Uniform features a slim-cut design for reduced bulk and enhanced wearer comfort under body armor. INVISTA's T420HT patent-pending high tenacity fiber technology also enhances the lightweight strength in the uniform's pants and sleeves. The G4 uniform's VTX™ Ripstop fabric construction offers a multitude of benefits. Driven by a 17% lighter weight and 4X more breathable material, the fabric's comfort properties are key for those who are often wearing uniforms for long, demanding periods of time. In the field, its practical technologies include 3X higher tear strength and 60% faster drying. Little King Industries, a Taiwanese based knit fabric manufacturer, focuses its RD on providing innovative solutions for its major brand customers, specializing in cutting-edge knitted fabrics for the sports and the outdoor markets. Little King's new collection for ORSS'18 called FUTURE WARMTH, targets base- and mid-layer products to tell the story of warmth and lasting quality. The line includes hybrid sweater knits, 3D terry knits, and breathable knits that provide warmth and optimize comfort.